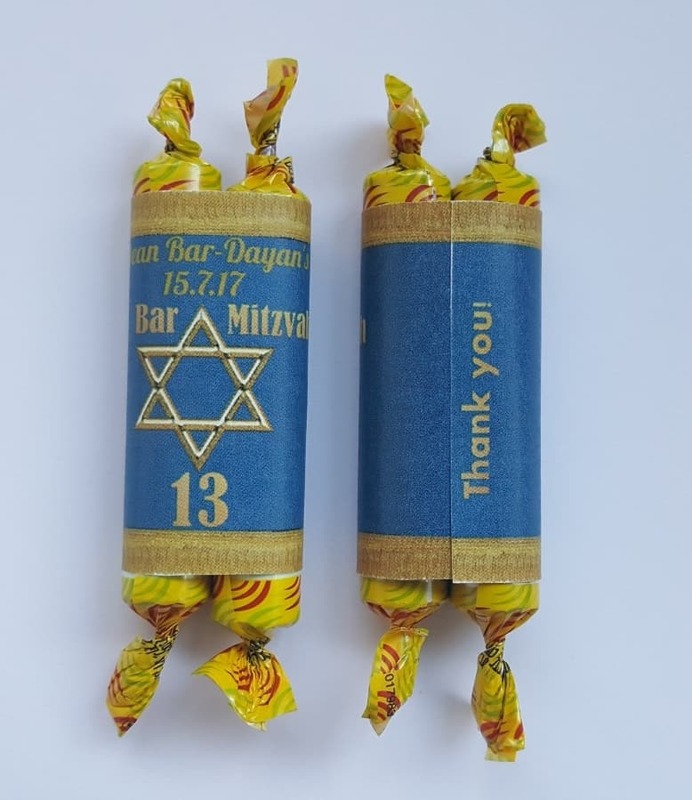 Our free app will enable you to make customized bar mitzvah favors (Tootsie Torahs) in English or Hebrew for your guests free of charge. You can customize the text online (in English and/or Hebrew) and then print at home. Print the labels with your photo or without a photo. 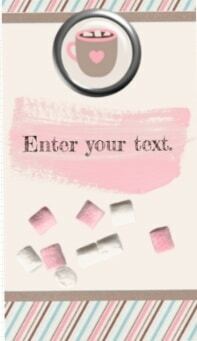 Edit the text and add a photo (if you select the version with a photo). Feel free to change all text. You could also use these favors for a Jewish wedding or Bat Mitzvah. 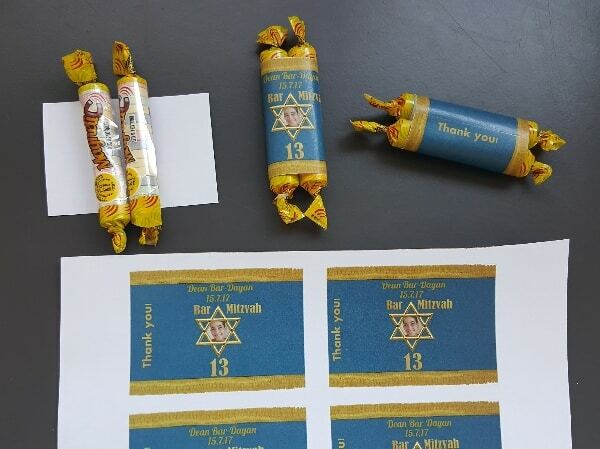 Place two rolls of candy (such as Tootsie rolls) in the middle and roll the paper around the candy. Slime is fun to make and to play with. 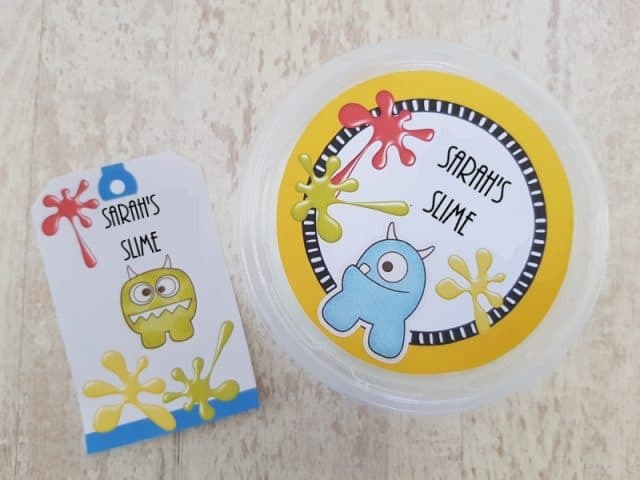 These free printable custom DIY slime labels and stickers will make your homemade slime look cute and unique. 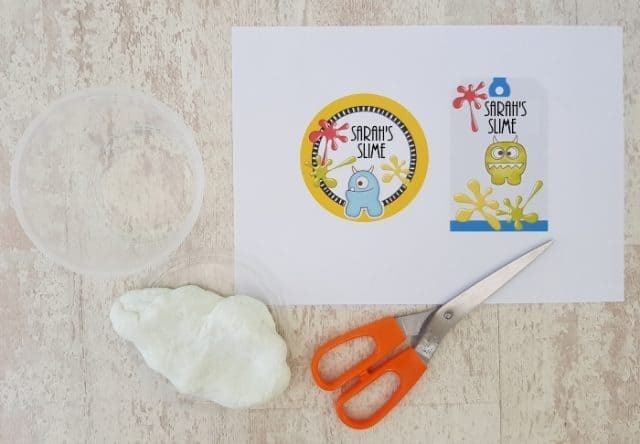 For kids who sell slime, you can make your own personalized slime stickers for your slime shop. You can move the elements around and change the clipart and colors so there are an unlimited number of designs and possibilities. Each slime label will be unique. There are different types of slime. Slime with baking soda, contact solution and even edible slime. I tried many homemade slime recipes that I found online but none of them worked for me. The edible slime didn’t really have a good texture. It wasn’t stretchy at all. It was more like playdough than slime. The first time I tried to make slime I wasted a lot of slime ingredients (glue, laundry detergent and shaving cream) until I got it right. Eventually, it worked and I measured the exact quantities to save you wasting ingredients on slime recipes that don’t actually work. I then tried the exact same slime recipe a few more times to ensure that it worked and it did. So if you want to know how to make slime without borax then follow the easy slime recipe below. 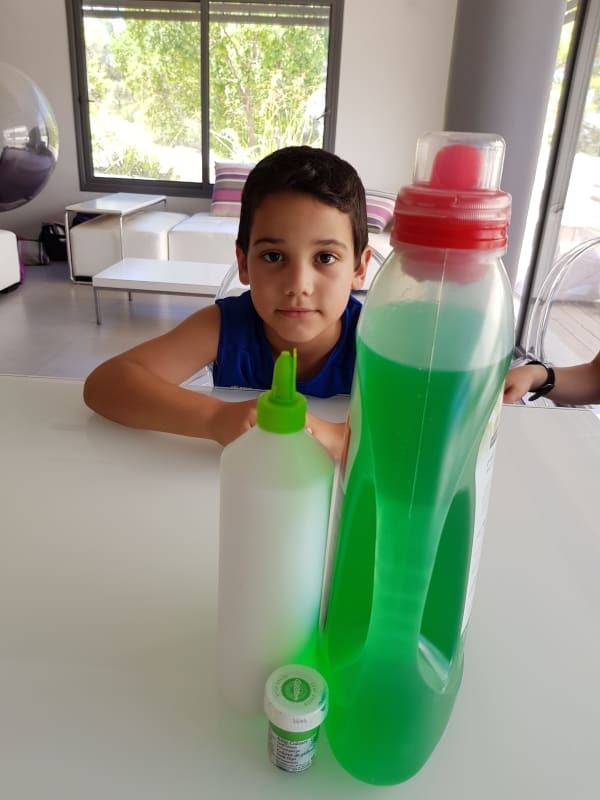 The following recipe will explain how to make slime with glue and liquid detergent only. I wanted to make slime without borax since I am concerned that borex is not safe. How do you make slime? The following recipe makes perfect slime that is stretchy and fun to play with. Pour the glue into a disposable bowl. Add one tablespoon of liquid detergent and mix well with a disposable spoon. Mix for about 2 minutes. Add another tablespoon of liquid detergent and mix well with a disposable spoon. Mix for about 2 minutes. Add the rest of the liquid detergent and mix well with a disposable spoon. Mix for about 2 minutes. Knead the slime mixture until it turns into slime with a good texture. Your slime is ready to play with. To make glitter slimes just follower the recipe above and add glitter at the end. Add as much as you want. To make colored slime add food coloring. For example, to make pink slime add a few drops of pink food coloring the first time you add detergent and mix. If you want to know how to make fluffy slime then follow the recipe below. This recipe has a different consistency. It is more like a foam slime. Add some shaving cream. Mix well. Knead the slime mixture until it turns into slime with a good fluffy texture. Your fluffy slime is ready to play with. If you follow our easy slime recipe then your slime shouldn’t be sticky. If you tried another recipe or didn’t measure the ingredients then here are two ways to make slime less sticky. Knead the slime for a while until it becomes less sticky. If that doesn’t work, then add a bit of liquid detergent until the slime becomes less sticky. Always wash your hands after you touch any of the slime ingredients and never make or play with slime if you are sensitive to any of the ingredients. 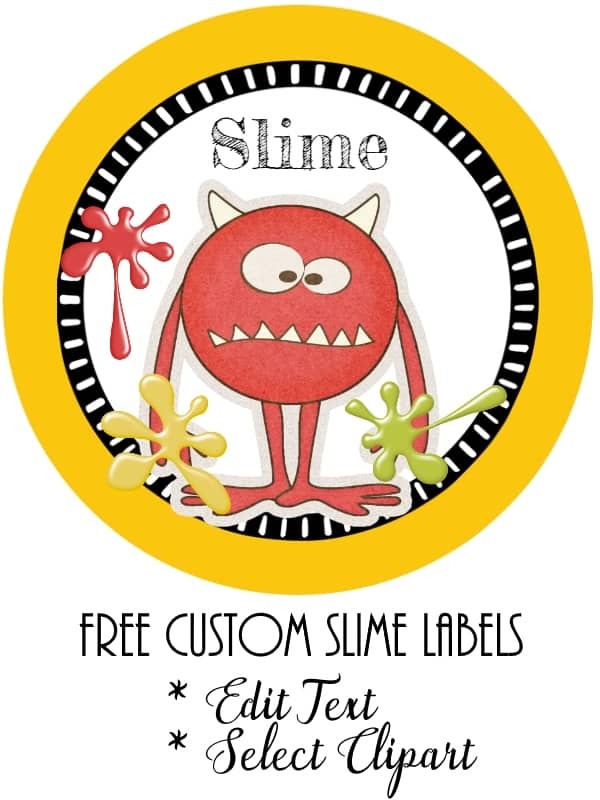 Click on the slime label and/or tag above to open the online label maker. 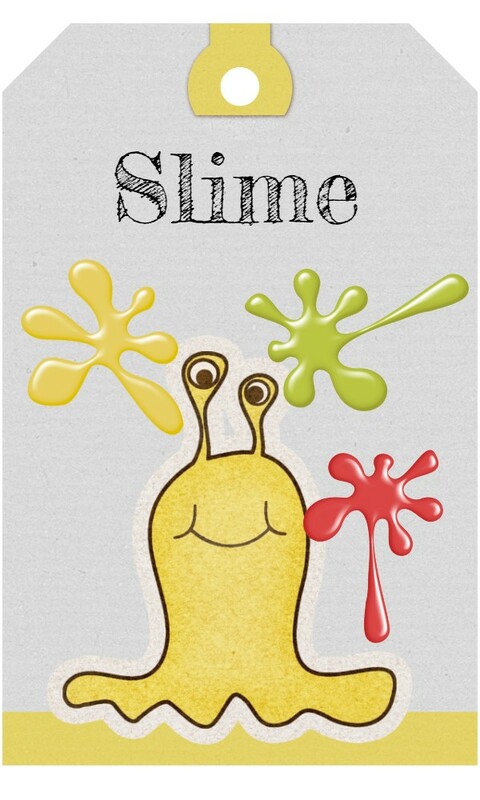 Add slime clipart and move around, make larger or smaller. Adhere the slime labels to the slime container. If you want to make slime tags you can connect them to the container with ribbon or string. 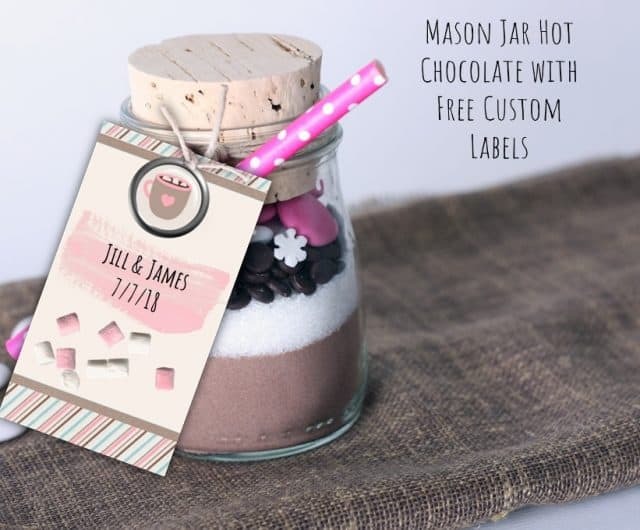 Hot chocolate mason jar favors are so easy to make with this easy recipe and free printable custom gift tags. We offer two versions: hot cocoa and mocha (with coffee). 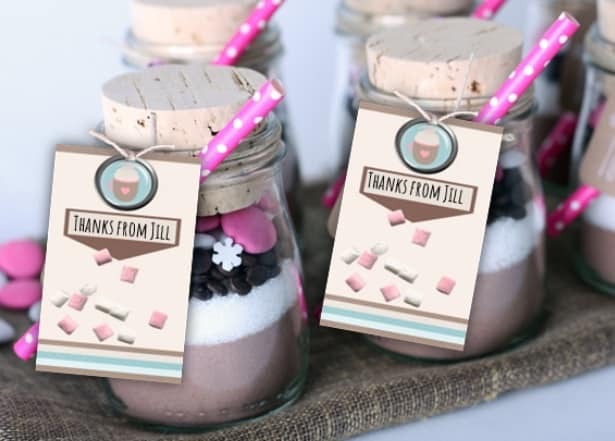 When making DIY wedding favors you might prefer to make mocha and when making party favors for kids the version without coffee will be more appropriate. You can change the ratio if you prefer but keep the layers in this order or any other order that has dark then light then dark, etc. You can also omit certain layers (such as the dry milk if you prefer to add fresh milk). If you do omit a layer try to arrange it so that you keep the contrast between the layers. To make the hot chocolate mix labels open the label maker. To add text click on the A button. You can change the font and make the text larger or smaller. You can also drag it around. 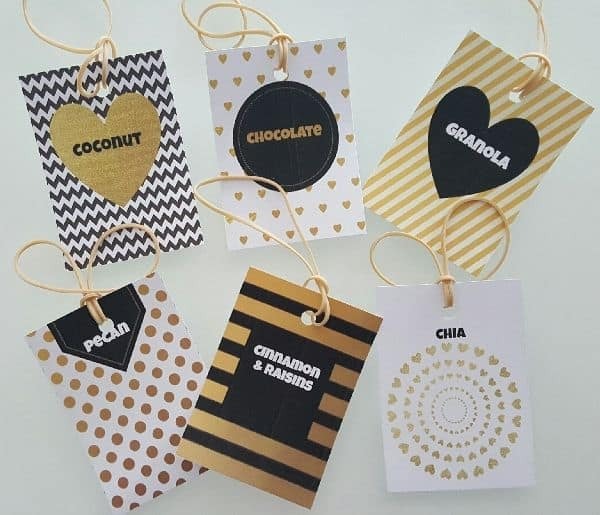 Use this hot cocoa gift tags printable to make party favors, gifts for teachers, DIY hot chocolate wedding favors or for any other purpose. 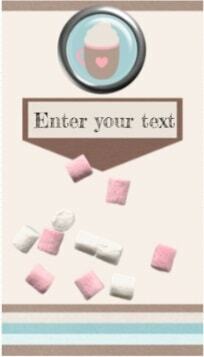 Since the text can be edited you can also use the label maker to make hot chocolate bar labels. 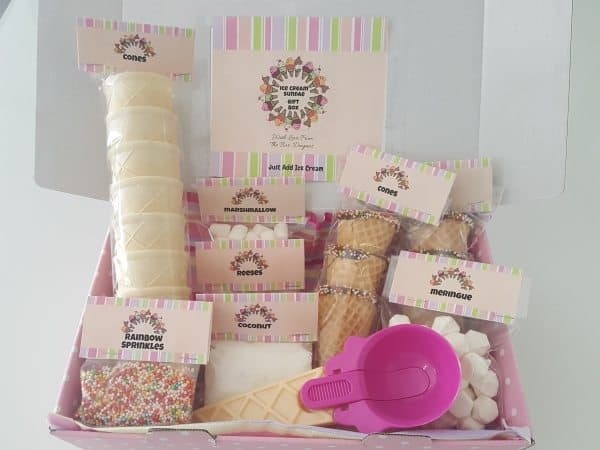 This ice cream sundae gift basket contains everything that you need to make the perfect ice cream sundae except the ice cream. If you are taking it to someone’s home and not traveling too far then you can add a tub of ice cream as well. We have prepared all of the labels and printables for you so it shouldn’t take too long to prepare. You can personalize all of the labels if you want to add your name or a personal message. You can also change the text on the labels if you prefer to use other toppings. It really doesn’t take that long to prepare but looks really special. 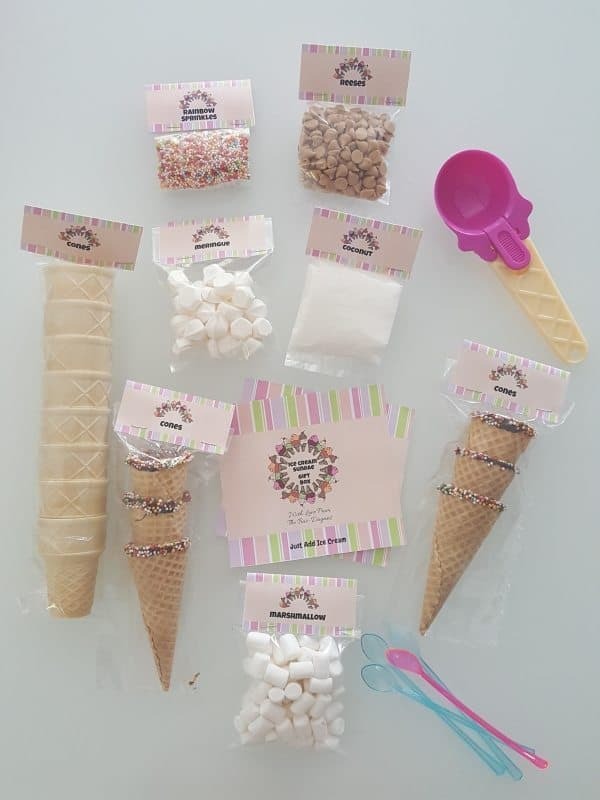 Cellophane bags (long ones for the ice cream cones and shorter for other toppings. You can also just cut the long bags if you only want to buy one kind). Insert toppings into cellophane bags. 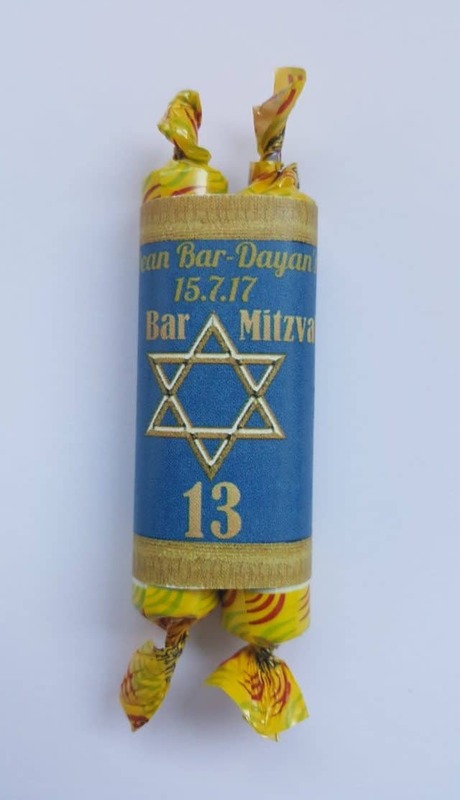 Prepare the bag toppers. There are two different designs for you to choose from: design 1 and design 2. Change the text if you are using different toppings. Print on cardstock. Cut out each bag topper. Fold over bag and staple closed. There is a printable label available for the outside cover and another one for the inside cover (with a personalized message). Adhere the labels to the box with paper glue. Arrange the toppings in the box. Add anything that you want to add such as an ice cream serving spoon, colored spoons, ice cream bowls, etc. The toppings here are only samples of those that you can use. You can also use wafers, nuts, dried fruit, etc. 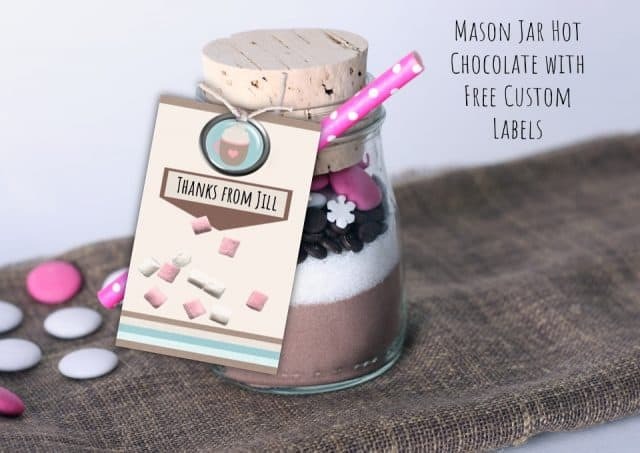 You can also put the toppings in glass jars and use the printables to create custom labels. Just print on paper and apply with paper glue or print on label paper. 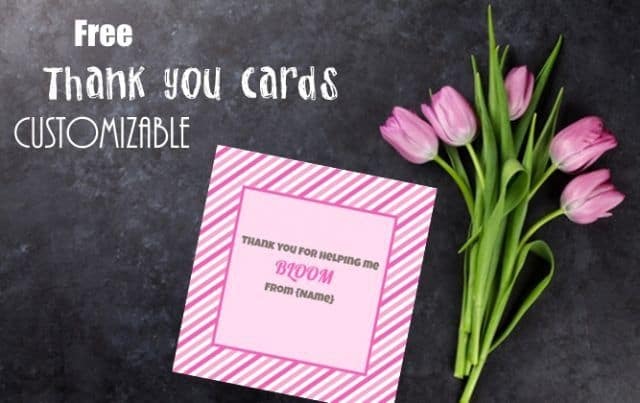 These thank you cards read “Thank you for helping me bloom” but the text can be customized if you want to write anything else. They go well with cut flowers, a pot plant or even flower shaped candy. I love overnight oats. They are so easy to make and fun to eat. Even though they only take a few minutes to make, I often find myself too busy or lazy to make them the night before I need them. I started making enough bottles for a week or two when I have the time. That way, each night, I choose the flavor that I want for the next morning and just add milk. I have lots of bottles in the pantry and I only add the dry ingredients. I’m very into making things in bulk since it is a huge time saver. If you do make them in bulk you will want to be able to recognize the flavor instantly. 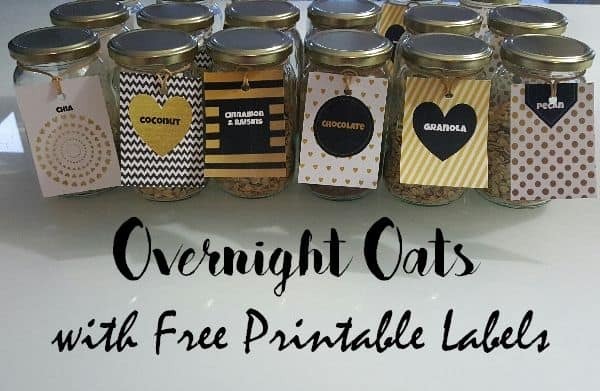 That’s why I created these custom labels for my overnight oats. 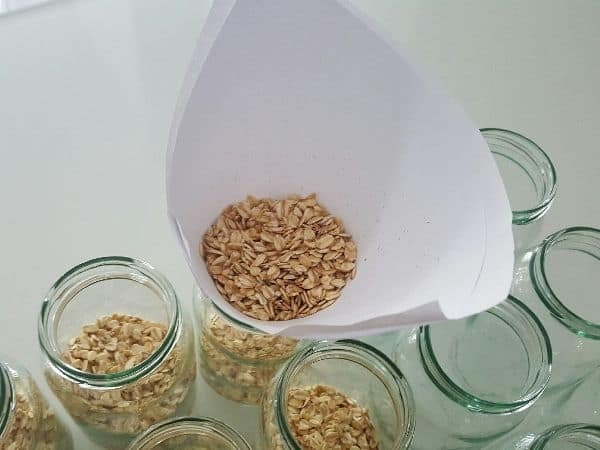 I just put a label on the mason jar and that way even if I prepare the oats a few weeks later I will still remember what I put in the jar. 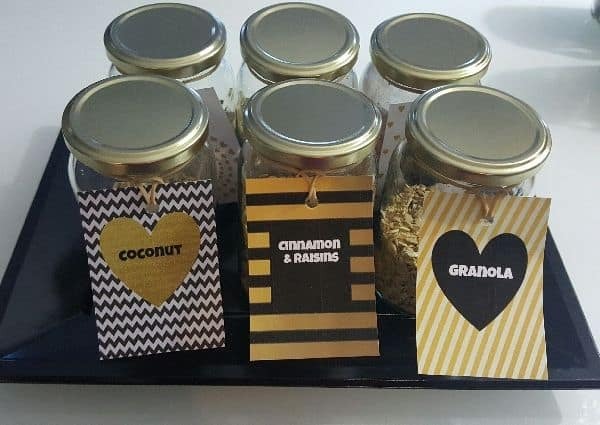 Overnight oats also make great gift boxes. The custom labels add a professional personalized look. The labels are available in many colors and styles. I have a few friends who are very health conscious. 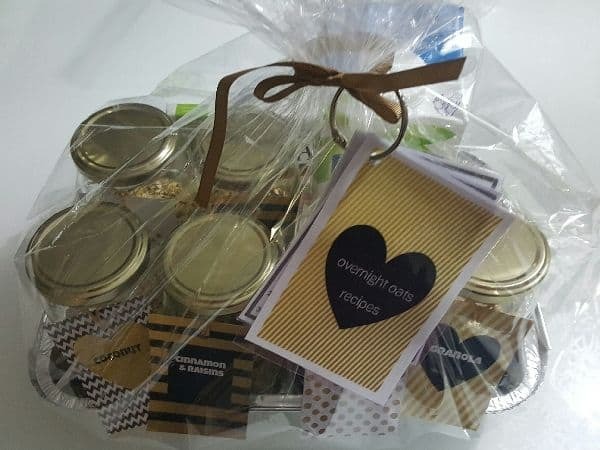 I recently made them each an Easter gift basket with these bottles of overnight oats. They loved them! Put the mason jars in the dishwasher to sterilize them. 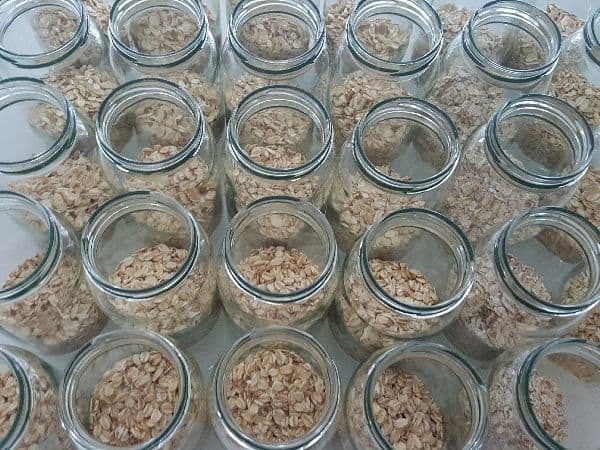 Fill them with oats according to the overnights oats recipe that you want to use. I made a funnel with a piece of paper. Decide which toppings you are going to add and create a custom label for each topping. Cut out each label. Punch a hole at the top of each label and attach an elastic band. Close the mason jar and attach the label. Put the mason jars in a gift box. Wrap with cellophane. You can also attach recipe cards which can be printed from this site too (also free). 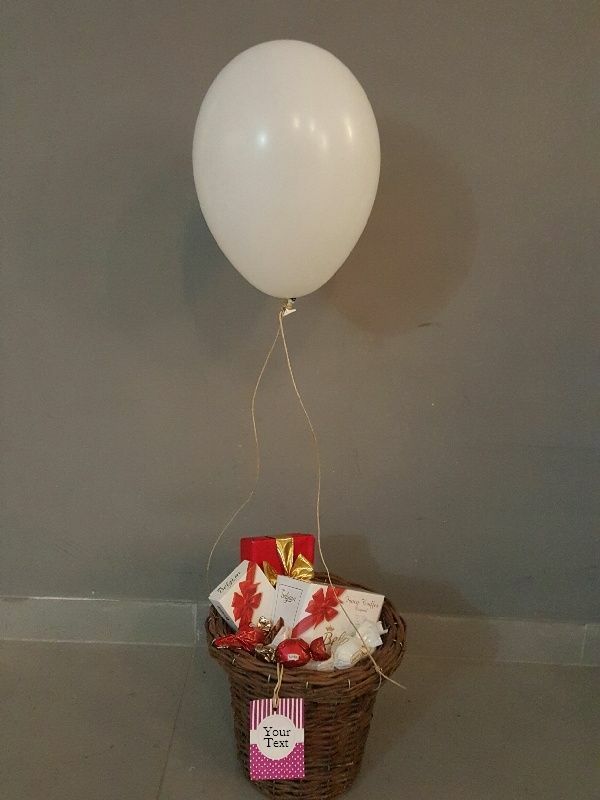 A hot air Balloon gift basket is a cute way to create a gift basket, Purim baskets or to turn a simple gift into something special. It only takes a few minutes to make. 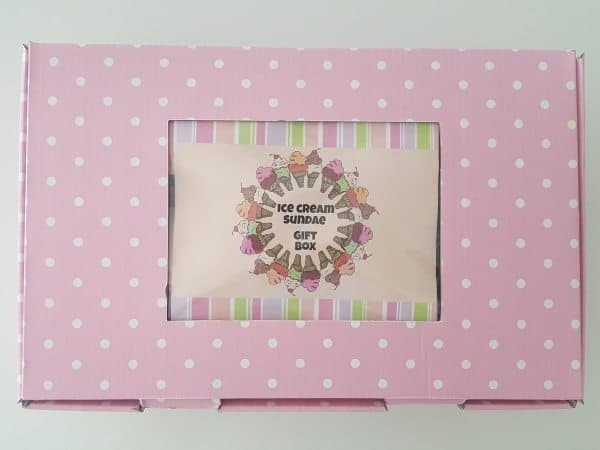 We have used the polka dot labels to create a gift tag but you can use any other custom gift tag on this site. Fill the basket with chocolates and/or candy. Personalize the custom labels and add your own message. 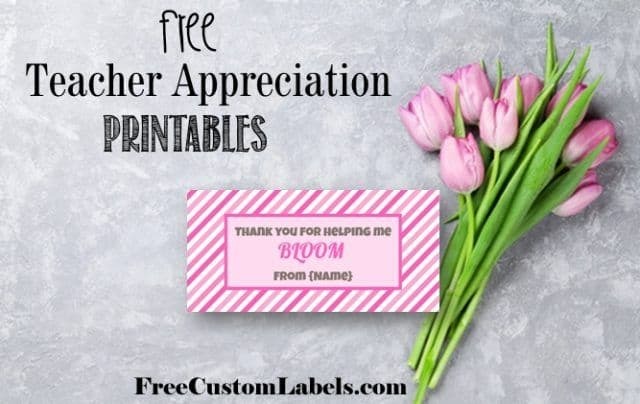 Print the labels on cardstock. Punch a hole at the top of the label. 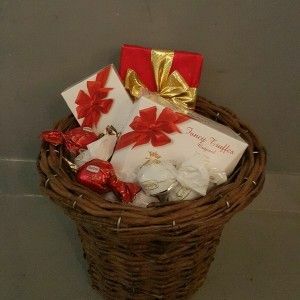 Tie the label to the gift basket with ribbon or string. It should be tied tighter than it was in this picture. 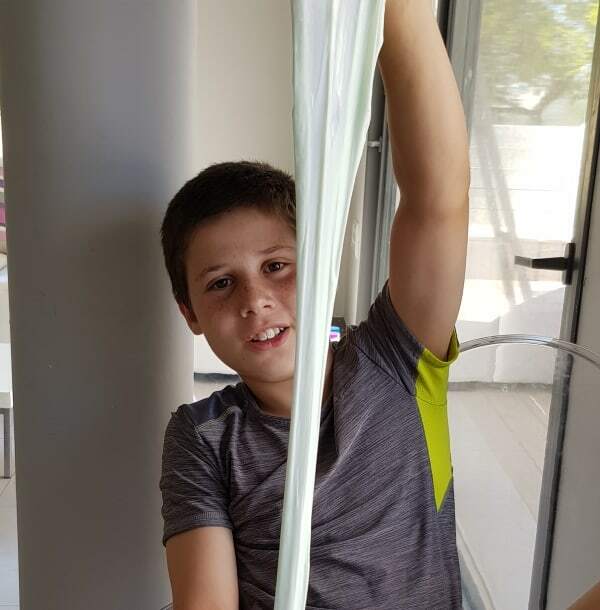 Connect the string to the balloon on one end and the basket on the other end. 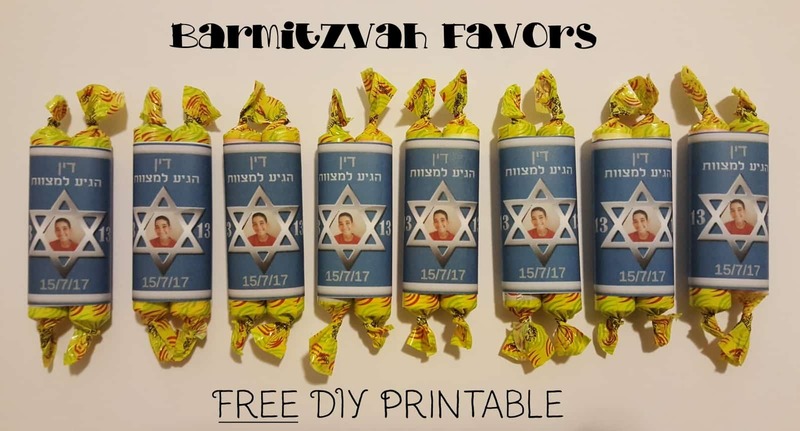 This is a great way to make Purim gift baskets! 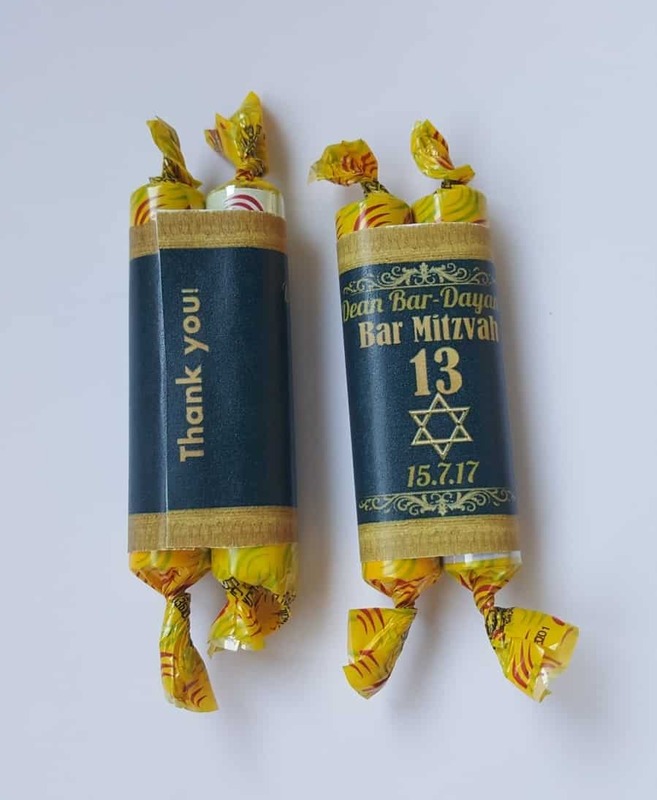 You can write Happy Purim on the gift tag since the text is totally customizable. 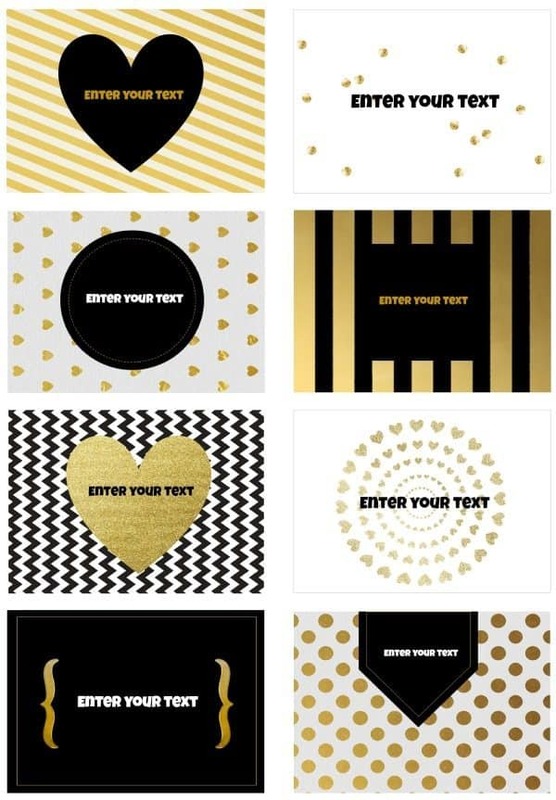 The black and gold label above can be customized and printed below. 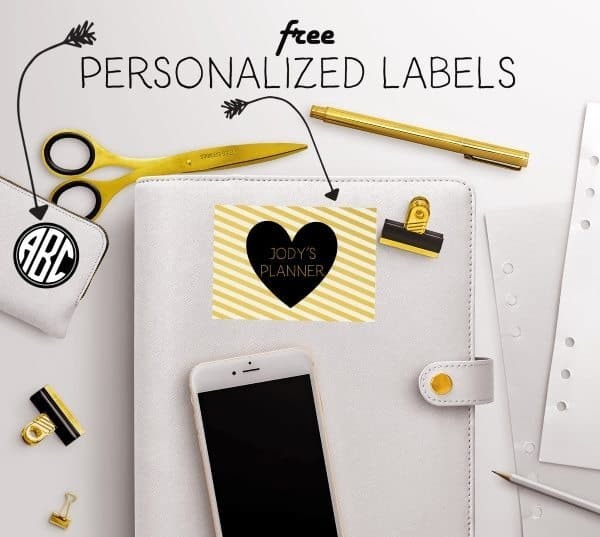 The monogram sticker can be customized with our free monogram maker. 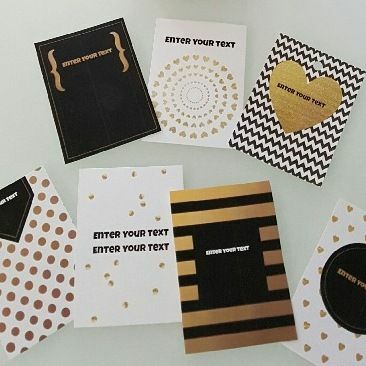 These free custom labels are elegant in black and gold. They come in eight different styles. They can be used as labels or as tags. You can add your own text before you print them. Click on “customize” to edit the text. Click on download to download the custom labels to your PC. 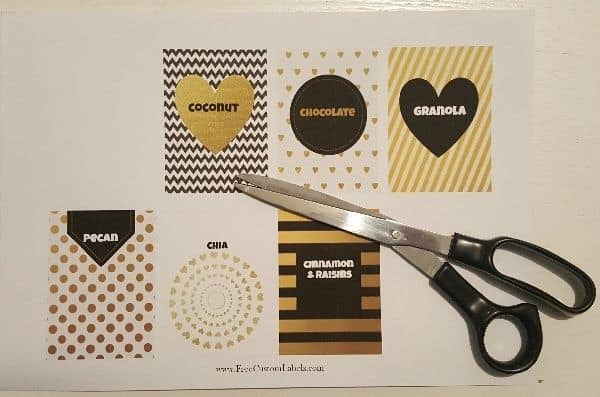 If you want to use them as labels just adhere them with paper glue. If you want to use them as tags then punch a hole at the top or in one of the corners. Attach an elastic band or a ribbon. These printable labels are also available in landscape format. 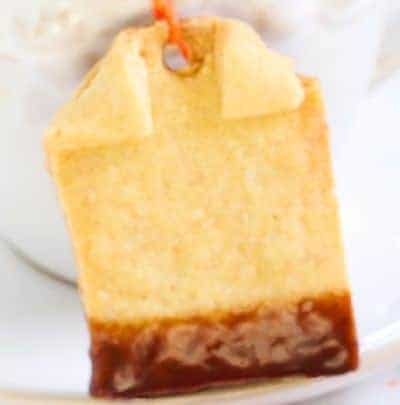 These cookies are so easy to make and they make such a nice DIY gift that is sure to be appreciated. You can wrap them up nicely in a nice box with a custom label on each cookie. 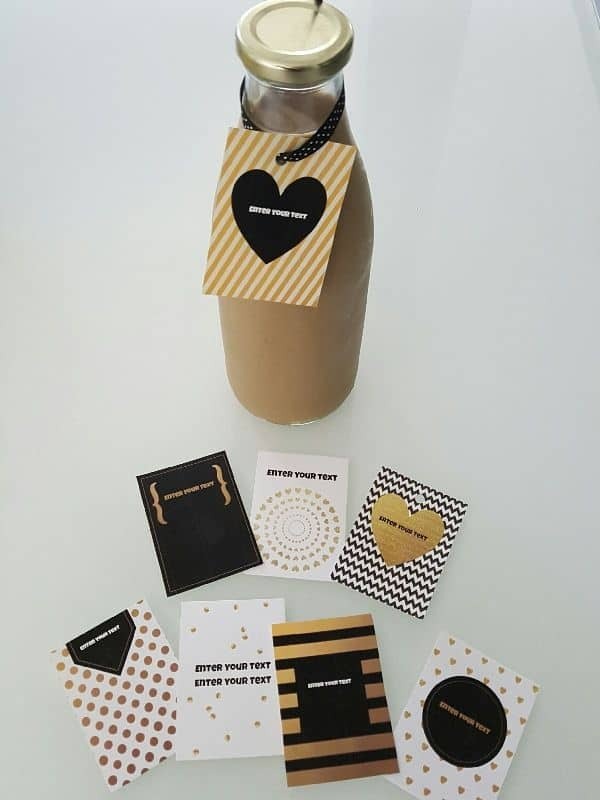 You can write a different message on each label. These can be served at weddings with silver sprinkles, at birthday parties with hot chocolate or to guests with coffee or tea. Roll out the cookie dough. Fold the two top corners inside (see picture). Make a hole in the top middle. Bake according to the cookie dough instructions. If the hole in the top has closed then pierce the cookie again while it is hot to open the hole. Chop the chocolate into small pieces and then place into a small bowl. Heat the cream over medium heat until it comes to a boil. As it comes to a boil remove from the heat. Pour the cream over the chocolate and whisk until the chocolate melts. Dip the bottom of the cookie in the chocolate mixture. Sprinkle colored sprinkles on the chocolate. 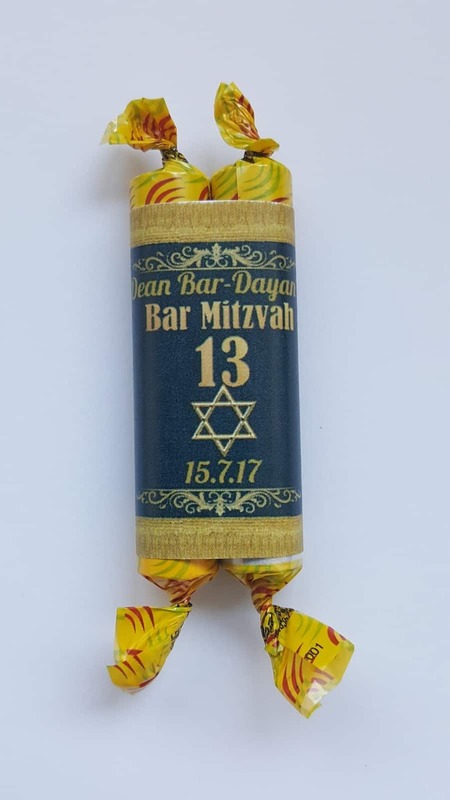 Tie string to the cookie on one end and the custom label on the other end. If you are giving the cookies as a gift then place them in a gift box. 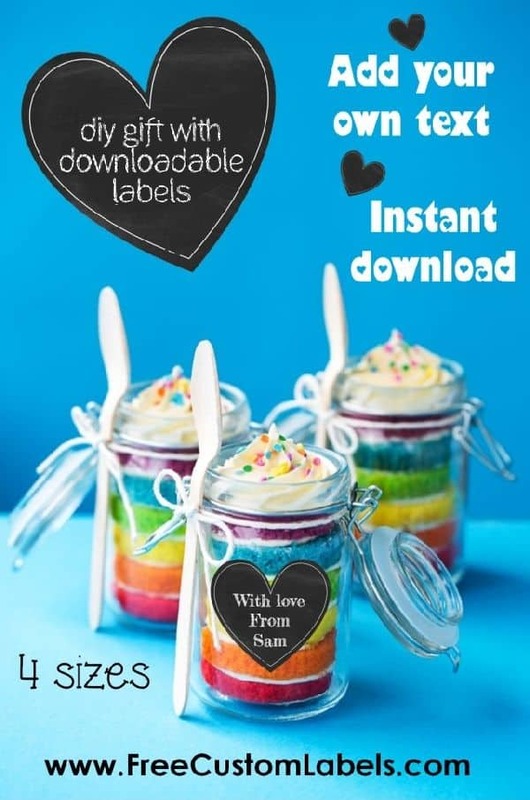 This rainbow cake in a jar looks really pretty and makes a great gift. It’s a perfect solution when you need a few small gifts since the recipe will make about four small rainbow cakes (depending on the size of the mason jars and the cake mix used). Once you have completed the rainbow cake you can print the custom labels to personalize the gift and add a more professional touch. There are two different methods to make a rainbow cake in a mason jar. The first method is to pour the cake batter into the mason jar, layer by layer, and then bake the batter in the mason jar. The layers tend to mix and it often creates a messy finish. The advantage is that you don’t waste any cake batter and you will probably get around 3 to 4 rainbow cake mason jars. Another method is to bake the colored cakes and then cut out circles the size of the mason jar. You then spread white frosting on each circle and carefully insert each layer into the mason jar, layer by layer, until they are all inside the jar. The disadvantage is that you will waste some cake and will probably only get around 2 to 3 rainbow cake mason jars but you can make cake pops with the leftovers. You can also just insert the leftovers into a jar and I’m sure that there will be many volunteers to eat the cake even if it doesn’t look perfect! This method creates a perfect finish and makes your gift look spectacular! Wash and dry the mason jars. Preheat the oven to 350 degrees Fahrenheit or 180 degrees Celsius. Make the white cake batter according to the directions on the box. Divide the batter into six portions (you can make more or less colors if you prefer). Add a different food color to each portion. Since food color is often very concentrated add a few drops and mix and then only add more if necessary. It is easy to add more but problematic if you add too much. If you are going to bake the rainbow cakes in the mason jars then spoon about a quarter of the red batter into the first jar. Then add the orange batter, then the yellow, then the green, then the blue and then the purple. If the batter drips on the jar then wipe it clean before moving on to the next layer. Repeat these steps until you have finished all of the batter. Fill the bottom of a glass baking dish with about a half inch of water. This will prevent the cake from browning. Carefully place the mason jars in the baking dish. Bake for about half an hour or a little longer if necessary (until a toothpick comes out clean). It is important that the cake is ready yet not browned as it won’t look as good. Pour each portion of batter into a small baking dish. 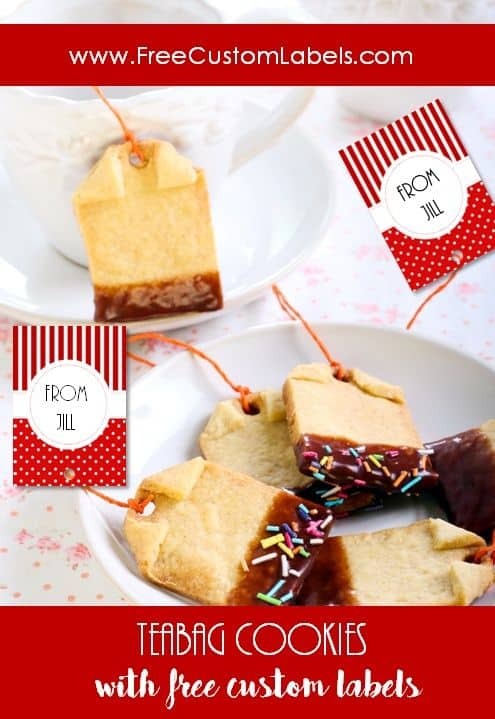 Bake until a toothpick comes out clean (go according to the cake instructions but check it early since you are only baking part of the cake box and it should be ready sooner). 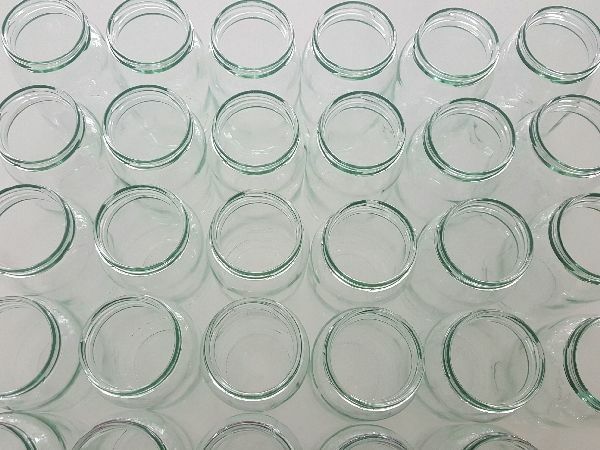 Cut out circles the size of the mason jar’s opening. If you do not have a round cookie cutter then use the jar to cut the cake into circles. You can also use a glass cup if you have one the same size. Spread each circle with white frosting and then gently insert into the mason jar. Start with the red cake, then add the orange cake, then the yellow, then the green, then the blue and then the purple. Connect a spoon to each mason jar and tie with a ribbon or string. 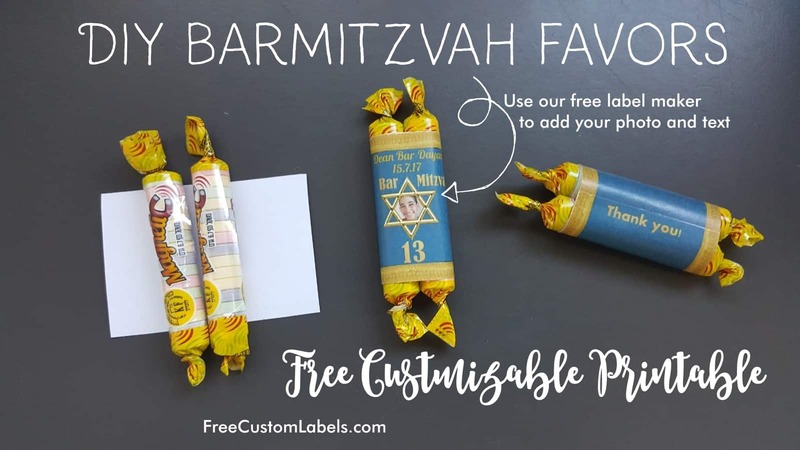 Why use our custom labels?